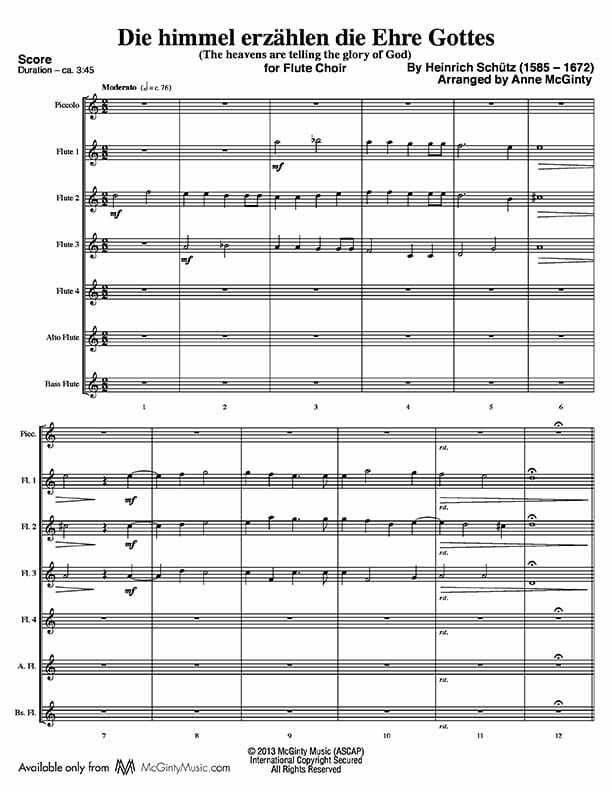 Flute Choir | Product categories | McGinty Music, LLC. Ave verum corpus (Hail, true body) is based on a 14th century poem. This musical setting by William Byrd (1543 – 1623) is considered one of his finest works. A student of Thomas Tallis, William Byrd was the leading English composer of his time, a great master of the Renaissance along with Giovanni Palestrina and Orlando de Lassus, and left a huge legacy of printed music. 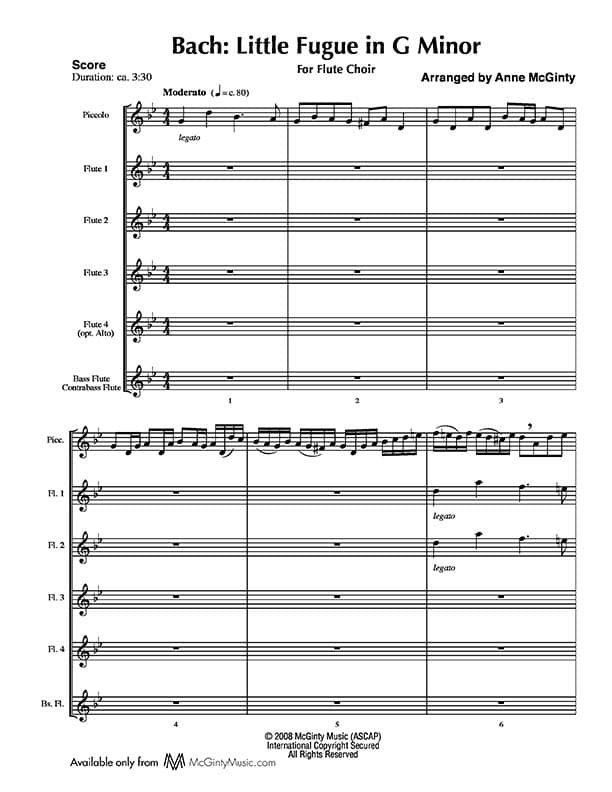 The false relation, the G sharp in the 1st and 2nd flutes and the G natural in the alto and bass flutes in measure 2 was Byrd's way of emphasizing the word verum. Changes tries to capture that warmth and richness and reality musically. The titles of the three movements are chapter titles from this book, with the music reflecting the many changes that are an inevitable part of living. The first two movements are both slow and reflective. 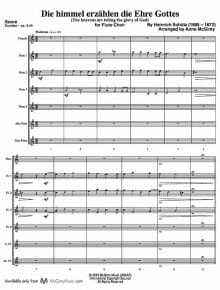 In the first movement each instrument has something to say and shares it with the others, with the resulting interchanges both bitter and sweet. 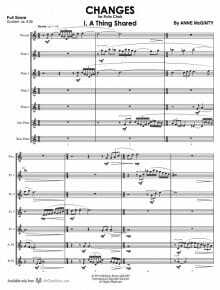 The second movement, dreamlike as suggested by the title, recalls big dreams as well as little dreams—success, frustration and finally satisfaction. 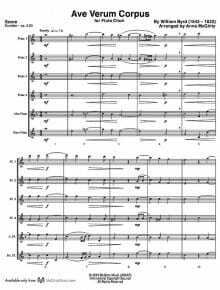 The final movement is playful and at times humorous, with a flurry of notes and amusing syncopations, a drastic change from the first two movements. The ending, with tongue in cheek and consideration of the meter used, is indeed a feminine ending in the classical sense as it does end on the second beat. 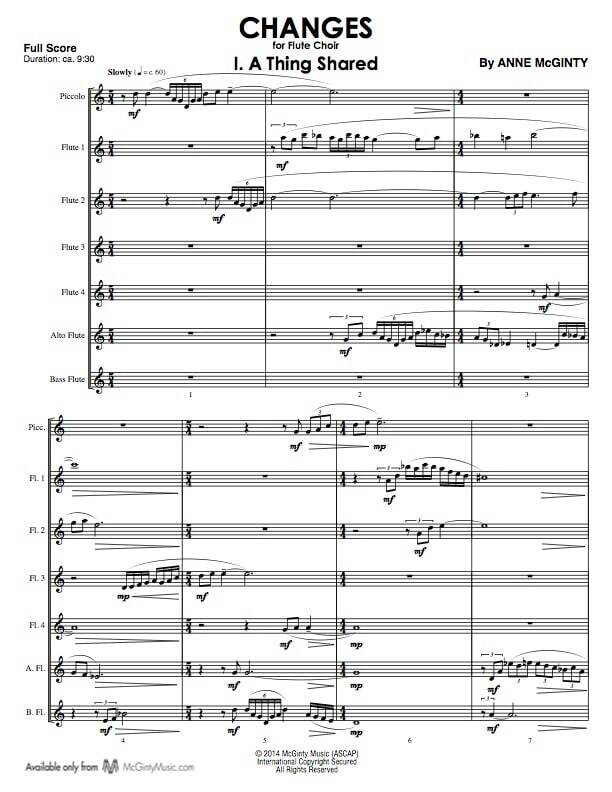 The sample score shows the first page of each of the three movements. At this time there is no recording available. Heinrich Schütz (1585 – 1672) was a Renaissance composer is regarded as the most important German composer prior to Johann Sebastian Bach. His compositions show the influence of his teacher, Gabrieli. piece is from Psalm 19. The title translates to: The heavens are telling the glory of God. 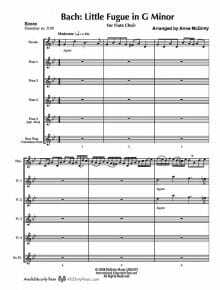 Originally written for six voices, the piece is ideal for flute choir and will sound glorious in a church or recital setting. 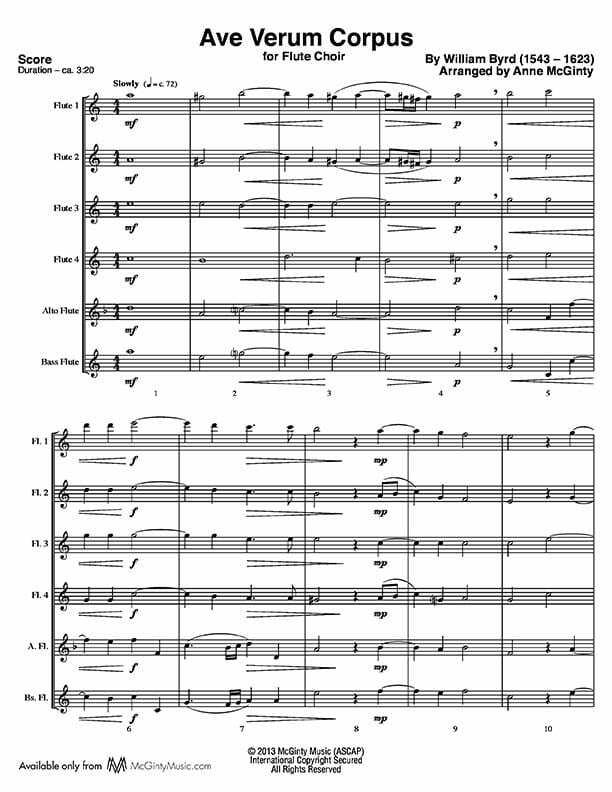 The Ohio State University Flute Troupe, directed by Katherine Borst Jones, recorded this piece. The full version is available for your listening pleasure under the “Hear an Excerpt” link.